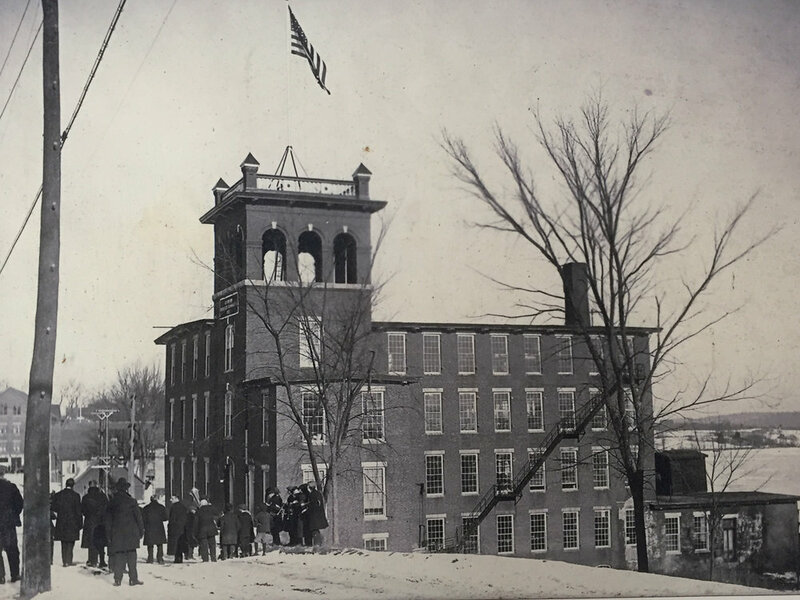 The Ames Mill was not always called the Ames Mill. Many placards have hung below the belfry. Over the last 135 years, one thing has remained constant... Production. The four-story brick building across the narrows from Swan Island has housed Cotton, Silk and Woolen Mills, Shoe Manufacturing , Electronic Component Assembly, and most recently Herbal Supplement Manufacturing. The Mill has had many owners, but has always managed to remain current- offering employment to residents and serving as a cornerstone to Main Street. We believe in a strong local economy and the importance of "Made in the USA". In this spirit, we at the Ames Mill welcome the next generation of Maine innovators.